Shasta Wool ThrowShasta Wool Throw, Smoke alt="Shasta Wool Throw, Smoke"
Print To design this gorgeously woven throw, we combined sumptuous yarns and beautiful craftsmanship from Peru. 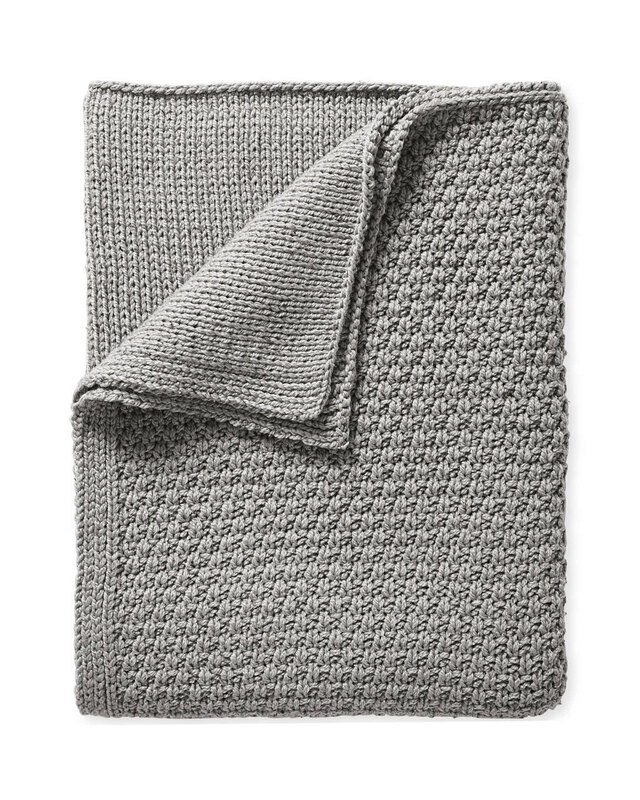 It’s a great neutral that’s full of texture and depth, with all the coziness of a knit sweater. A mix of moss and regular knit stitches creates tonal quadrants, while the subtly marled yarns add a touch of contrast overall.